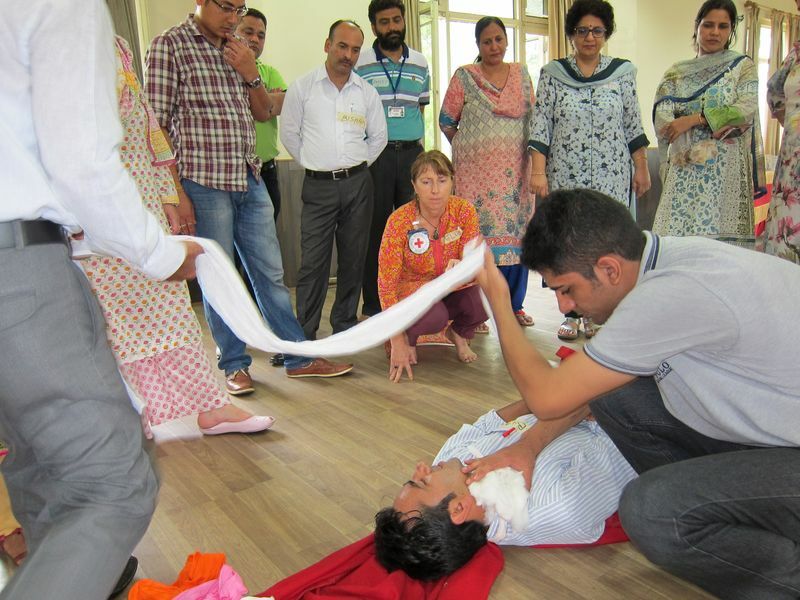 Summing up his experience at the Basic Life Support (BLS) instructor training in Jammu, Sheriyar Shafi says, “First aid can mean the difference between life and death”. 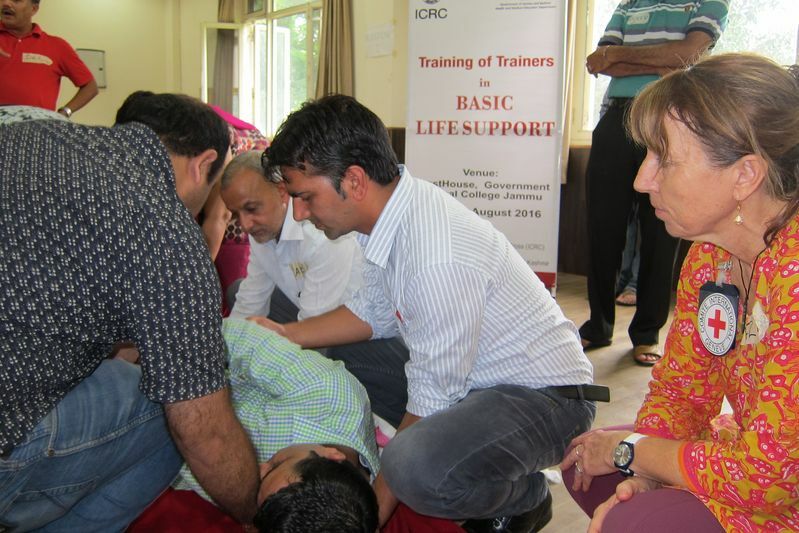 A law student associated with Indian Red Cross Society (IRCS), Shafi is one of the twenty-one participants who attended the five-day workshop that aims to create a pool of BLS trainers in Jammu and Kashmir. Organised by the Ministry of Health and Medical Education, Jammu and Kashmir, together with the ICRC, the workshop was conducted for doctors, paramedical staff and representatives of IRCS and NGO Doctors for You. The ICRC’s specialist trainer, Felicity Gapes, conducted the training with the assistance of two former participants who had undertaken the BLS training in 2015. BLS helps first responders to be able to assist the wounded and sick before the patient can be shifted or gets access to medical care. Principal of Government Medical College Jammu, Dr. Zahid Gillani and the ICRC Health Coordinator Marie-Josee were also present on the first day of the workshop. 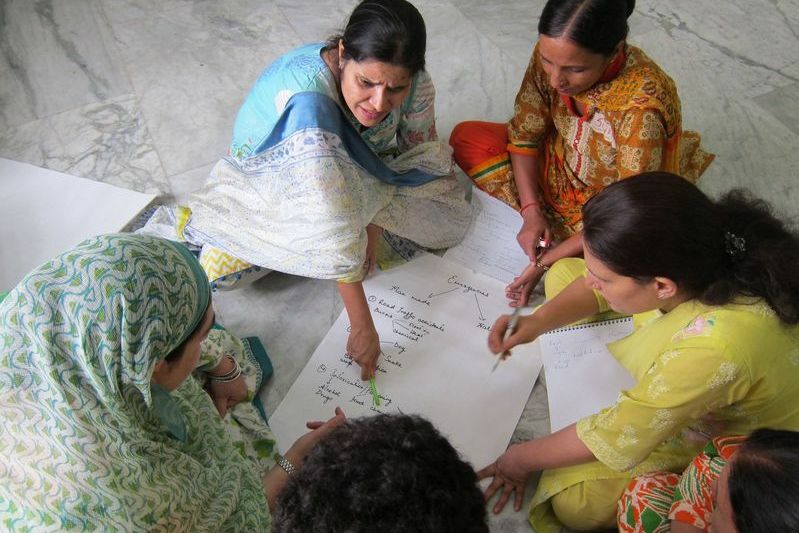 Since 2011 – when this initiative was started — the ICRC and various wings of health and medical education of the Jammu & Kashmir government have been collaborating to strengthen the pre-hospital and post-hospital emergency care.